There is a lack of reliable hepatotherapeutic drugs in modern medicine in the management of alcohol/drug-induced liver damage. Aloe vera extract has been used in folklore medicine for its medicinal values. This study evaluates the hepatotherapeutic activity of aqueous extract of Aloe vera gel in rats. Sprague-Dawley rats were divided into three groups; the negative control, positive control and the extract-treated groups. The negative control received only distilled water daily. The positive control received alcohol, while the extract-treated group received aqueous extract of Aloe vera and alcohol. Hepatotoxicity was induced in the positive control and extract-treated rats with alcohol. The hepatotherapeutic effect was evaluated by performing an assay of the serum total bilirubin, alkaline phosphatase, aspartate and alanine transaminases and liver histopathology. Alanine transaminase activities were comparable in all groups. Alcohol treatment alone significantly (p<0.05) increased total serum bilirubin, alkaline phosphatase and aspartate transaminase activities. Alcohol-induced hepatic dysfunction was abrogated by Aloe vera extract. Histopathological examination revealed that alcohol induced hepatic damage. 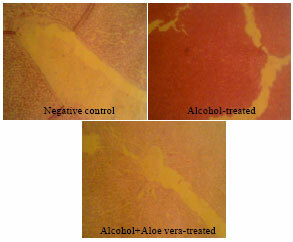 Aloe vera treatment maintained hepatic architecture similar to that seen in the control. This study shows that aqueous extract of Aloe vera gel is hepatotherapeutic and thus lends credence to the use of the plant in folklore medicine in the management of alcohol-induced hepatic dysfunction. W.A. Saka, R.E. Akhigbe, O.S. Ishola, E.A. Ashamu, O.T. Olayemi and G.E. Adeleke, 2011. Hepatotherapeutic Effect of Aloe Vera in Alcohol-induced Hepatic Damage. Pakistan Journal of Biological Sciences, 14: 742-746. Folklore medicine has grown from time antiquity since the use of natural plants is cheap and believed to be free of side effect. The medicinal values of Aloe vera have made it widely used plant (Capasso et al., 1998; Vogler and Ernst, 1999). There are numerous species of aloes (Hu et al., 2003). It is an arborescent, pea green colour-plant of the Asphodelaceae (Liliaceae) family. At the center of the leaf is a parenchymal gel, which could be dried or diluted in water to form concentrated or diluted aloe juice products respectively. It contains laxative anthraquinones (Schulz et al., 1979; Sharrif Moghaddasi and Verma, 2011). Previous studies have documented its antidiabetics (Bolkent et al., 2005; Rajasekaran et al., 2006; Karim, 2011), anti-inflammatory and anti-oxidant (Singh et al., 2000; Hu et al., 2003; Yagi and Takeo, 2003; Miladi and Damak, 2008) and anti-tumour (El-Shemy et al., 2010) activities. Though most of its ethnomedicinal potentials have been ascribed to its polysaccharide contents (Ni and Tizard, 2004; Ni et al., 2004). Dagne et al. (2000) suggested that its biological properties should be attributed to a synergistic action of all its phytochemical constituents. The liver is responsible for the metabolic homeostasis of the body including biotransformation, detoxification and excretion of many endogenous and exogenous compounds (www.sharinginhealth.ca/biology/liver.html). No scientific data is available concerning the hepatoprotective potentials of Aloe in alcohol-induced hepatic damage. Hence, this study focused on evaluating the hepatotherapeutic effect of Aloe in alcohol-induced liver damage. Animals: Sprague Dawley rats, of both sexes, weighing between 150 and 180 g were used for the experiment. They were housed in standard rat plastic cages under laboratory conditions with 12:12 h light/dark cycle at 25°C±2. The animals were allowed to acclimatize for two weeks (Eghoghosoa et al., 2011). Treatment: Animals were randomized into three groups; the negative control, positive control and the extract-treated groups. The negative control received only 2 mL of distilled water daily. The positive control received 2 mL of 10% alcohol, while the extract-treated group received 1 mL of the aqueous extract of Aloe vera and 2 mL of 10% alcohol. Treatments lasted for 4 weeks. Extraction of aqueous extract of Aloe vera: Aqueous extract of Aloe vera was obtained as previously described (Saka et al., 2011). Briefly, fresh stems of Aloe vera were washed thoroughly to get rid of all forms of debris. The leaves were then sliced longitudinally to cut open the inner part of the leaves. The gel in the leaves was scrapped into a clean bowl and blended to obtain a finer and liquefied form of the gel, the aloe juice. The juice was refrigerated below 4°C for preservation (Ige et al., 2011). Blood sample collection: After the experimental period, blood sample was collected from the animals by jugular puncture. Rats were anaesthetized in chloroform vapour. The neck was quickly cleared of fur and skin to expose the jugular veins. The veins after being slightly displaced to avoid contamination with interstitial fluid were sharply cut with a sterile scalpel (Oladiji et al., 2007) and blood was collected into lithium-heparinized bottles. Sera were obtained by centrifuging at 3000 rpm for 15 min (Akhigbe et al., 2008) and liver function test was done. Assessment of liver function and histopathological examination: Alkaline phosphatase, aspartate aminotransaminase, alanine aminotransaminase and total bilirubin were determined using standard laboratory kit according to manufacturers instruction. The excised livers were used in normal saline and fixed immediately in 10% formalin solution. A paraffin embedding technique was carried out and sections were taken at 5 mM thickness, stained with hematoxylin and eosin and examined microscopically for histopathological changes (Preece, 1972). Statistical analysis: Data are presented as Mean±standard error of mean (n = 5). Statistical analyses used one-way Analysis of Variance (ANOVA) to account for the different treatments and were complemented with unpaired t-test. Differences were considered statistically significant at p<0.05. Liver functions are summarized in Fig. 1-4. Alanine aminotransaminase (ALT) activities were comparable in all groups, though there was a marginal insignificant raise in alcohol-treated group compared to other groups. Alkaline Phosphatase (ALP), Aspartate Aminotransaminase (ASP) and Total Serum Bilirubin (TSB) were significantly increased in alcohol-treated group. These rises were significantly abrogated by Aloe vera Extract (AvE). The histopathological examination of the negative control group livers showed a normal arrangement of the hepatocytes, with clearly visible nuclei, central vein and portal triad. Areas of congestion of sinusoids, cloudy swelling, congestion of central vein, centrilobular fatty change and necrosis of hepatocytes were seen in animals treated with alcohol. There was marked reduction in sinusoidal congestion, cloudy swelling and fatty change, with areas of regeneration in animals treated with AvE (Fig. 5). Polysaccharides, carbohydrates, proteins, amino acids, vitamins, lipids, inorganic compounds, chromones, anthraquinones/anthrones, triterpenoid, flavonoids and some enzymes and hormones are the constituent phytochemicals in Aloe vera (Hu et al., 2003; Hamman, 2008; Sharrif Moghaddasi and Verma, 2011). Hepatic damage is characterized by a rise in serum enzymes viz ALT, AST and ALP. Generally, ALT concentrations are consistently higher than AST levels and this is expected as body cells generate more ALT than AST (Mayne, 1996). Most ALT is found in the mitochondria, unlike AST which is entirely cytosolic. Thus, AST is a more sensitive marker of hepatocellular damage than ALT (Al-Mamary et al., 2002). The administration of alcohol to the animals resulted in significant rise in serum ALP, AST and TSB. Administration of AvE ameliorated the toxic effect of alcohol. Compared with the alcohol-treated animals, AvE caused a significant decrease in ALP, AST and TSB levels. However, ALT levels were similar in all groups. The observed increase in the concentrations of ALP and AST is indicative of loss of the functional integrity of the hepatic cell membranes and cellular leakage of these enzymes into the bloodstream (Lahon and Das, 2011). Histological study showed normal cytoarchitecture of the control rats, however, the alcohol-treated animals exhibited areas of hepatic necrosis. The animals treated with AvE revealed appreciable protection of hepatic tissue from alcohol. Thus, AvE showed hepatotherapeutic activity. This agrees with previous studies (Rajasekaran et al., 2006; Saritha and Anilakumar, 2010) that reported that Aloe vera maintains normal levels of aminotransaminases, ALP, TSB and hepatic cytoarchitecture integrity. The hepatoprotective activity of AvE might be associated with its anti-oxidant and anti-inflammatory potentials against alcohol-induced hepatic damage. AvE preserved the metabolizing enzymes of the liver through an antioxidant activity (Chandan et al., 2007), via an inhibitory action on the arachidonic acid pathway through cyclooxygenase (Vazquez et al., 1996). It also significantly reduced leukocyte adhesion and tumour necrosis factor α (Prabjone et al., 2006). Thus, AvE reduced prostaglandin synthesis and leucocytes infiltration (Cross and Roberts, 2004) with consequent enhancement of hepatic functions. The hepatotherapeutic effect of AvE may be attributed to the anti-oxidant properties of its bioactive principles via a membrane-stabilizing mechanism. This study thus lends pharmacological support to the folkloric, ethnomedical use of the plant in the management of alcohol-induced hepatic damage. Al-Mamary, M., M. Al-Habori, A.M. Al-Aghbari and M.M. Baker, 2002. Investigation into the toxicological effects of Catha edulis leaves: A short term study in animals. Phytother. Res., 16: 127-132. Bolkent, S., N. Akev, A. Can, S. Bolkent, R. Yanardag and A. Okyar, 2005. Immunohistochemical studies on the effect of Aloe vera on thepancreatic β-cells in neonatal streptozotocin-induced type-II diabetic rats. Egypt. J. Biol., 7: 14-19. Capasso, F., F. Borrelli, R. Capasso, G. Di Carlo and A.A. Izzo et al., 1998. Aloe and its therapeutic use. Phytother. Res., 12: S124-S127. Chandan, B.K., A.K. Saxena, S. Shukla, N. Sharma and D.K. Gupta et al., 2007. Hepatoprotective potential of Aloe barbadensis Mill. against Carbon tetrachloride induced hepatotoxicity. J. Ethnopharmacol., 111: 560-566. Cross, S.E. and M.S. Roberts, 2004. Physical enhancement of transdermal drug application: Is delivery technology keeping up with pharmaceutical development?. Current Drug Delivery, 1: 81-92. Dagne, E., D. Bisrat, A. Viljoen and B.E. Van Wyk, 2000. Chemistry of Aloe species. Curr. Org. Chem., 4: 1055-1078. Eghoghosoa, A.R., O.L. Aderemi, S.A. Olufemi and O.I. Peter, 2011. Effect of angiotensin I-converting enzyme inhibitor, captopril, on body weight and food and water consumption in oral contraceptive-treated rats. Am. J. Biochem. Mol. Biol., 1: 95-100. El-Shemy, H.A., M.A. Aboul-Soud, A.A. Nassr-Allah, K.M. Aboul-Enein, A. Kabash and A. Yagi, 2010. Antitumor properties and modulation of antioxidant enzymes activity by Aloe vera leaf active principles isolated via supercritical carbon dioxide extraction. Curr. Med. Chem., 17: 129-138. Hu, Y., J. Xu and Q. Hu, 2003. Evaluation of antioxidant potential of Aloe vera (Aloe barbadensi Miller) extracts. J. Agric. Food Chem., 51: 7788-7791. Ige, S.F., R.E. Akhigbe, A.A. Adewale, J.A. Badmus and S.B. Olaleye et al., 2011. Effect of Allium cepa (Onion) extract on cadmium-induced nephrotoxicity in rats. Kidney Res. J., 1: 41-47. Karim, A., M.N. Sohail, S. Munir and S. Sattar, 2011. Pharmacology and phytochemistry of Pakistani herbs and herbal drugs used for treatment of diabetes. Int. J. Pharmacol., 7: 419-439. Lahon, K. and S. Das, 2011. Hepatoprotective activity of Ocimum sanctum alcoholic leaf extract against paracetamol-induced liver damage in Albino rats. Pharmacogn. Res., 3: 13-18. Mayne, P.D., 1996. Clinical Chemistry in Diagnosis and Treatment. 6th Edn., Arnold London/Oxford University Press Inc., New York. Miladi, S. and M. Damak, 2008. In vitro antioxidant activities of Aloe vera leaf skin extracts. Journal Societe Chimique Tunisie, 10: 101-109. Ni, Y. and I.R. Tizard, 2004. Analytical Methodology: The Gel-Analysis of Aloe Pulp and its Derivatives. In: Aloes the Genus Aloe, Reynolds, T. (Ed.). CRC Press, Boca Raton, FL., USA., pp: 111-126. Ni, Y., D. Turner, K.M. Yates and I. Tizard, 2004. Isolation and characterization of structural components of Aloe vera L. leaf pulp. Int. Immunopharmacol., 4: 1745-1755. Oladiji, A.T., T.O. Jacob and M.T. Yakubu, 2007. Anti-anaemic potentials of aqueous extract of Sorghum bicolor (L.) moench stem bark in rats. J. 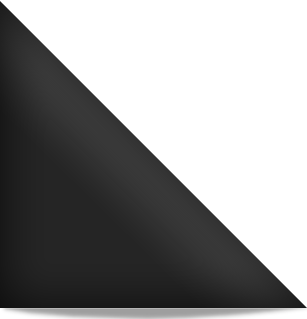 Ethnopharmacol., 111: 651-656. Prabjone, R., D. Thong-Ngam, N. Wisedopas, T. Chatsuwan and S. Patumraj, 2006. Anti-inflammatory effects of Aloe vera on leukocyte-endothelium interaction in the gastric microcirculation of Helicobacter pylori-infected rats. Clin. Hemorheol. Microcirculation, 35: 359-366. Preece, A., 1972. A Manual for Histologic Technicians. 3rd Edn., Little, Brown and Company, Boston, MA., USA., ISBN-13: 9780316717656, Pages: 428. Saka, W.A., R.E. Akhigbe, O.T. Popoola and O.S. Oyekunle, 2011. Changes in serum electrolytes, urea and creatinine in aloe vera-treated rats. J. Young Pharmacist, (In Press). Saritha, V. and K.R. Anilakumar, 2010. Toxicological evaluation of methanol extract of Aloe vera in rats. Int. J. Pharm. Biomed. Res., 1: 142-149. Schulz, V., R. Hansel and V.E. Tyler, 1979. Rational Phytotherapy: A Physicians Guide to Herbal Medicine. Springer, Berlin, Germany, Pages: 306. Sharrif Moghaddasi, M. and S.K. Verma, 2011. Aloe vera their chemicals composition and applications: A review. Int. J. Biol. Med. Res., 2: 466-471. Singh, M., E.D. hanalakshini and M. Rao, 2000. Chemomodulatory action of Aloe Vera on the profiles of enzymes associated with carcinogen metabolism and antioxidant status regulation in mice. Phytomedicine, 7: 209-219. Vazquez, B., G. Avila, D. Segura and B. Escalante, 1996. Anti-inflammatory activity of extracts from Aloe vera gel. J. Ethnopharmacol., 55: 69-75. Vogler, B.K. and E. Ernst, 1999. Aloe vera: A systematic review of its clinical effectiveness. Br. J. Gen. Pract., 49: 823-828. Yagi, A. and S. Takeo, 2003. [Anti-inflammatory constituents, aloesin and aloemannan in Aloe species and effects of tanshinon VI in Salvia miltiorrhiza on heart]. Yakugaku Zasshi, 123: 517-532, (In Japanese).